If you own a dog, you may see your dog breed on this cobbler apron. 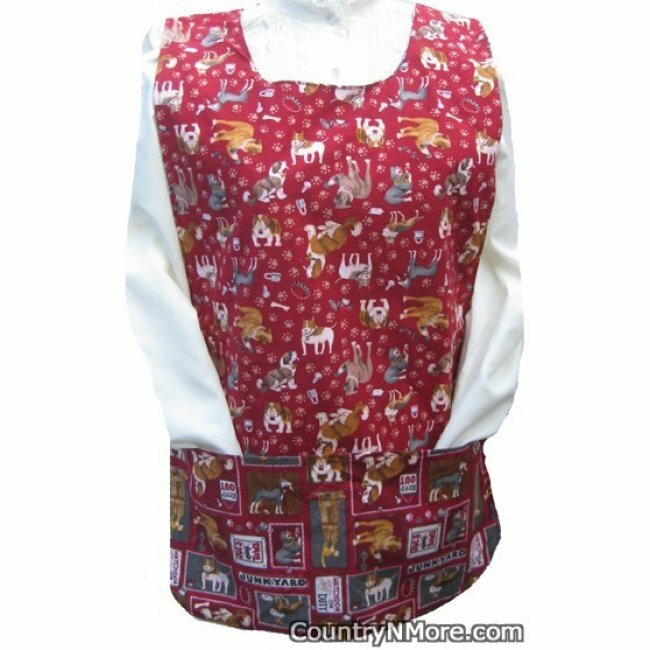 The front of this cobbler apron is comprised of different squares. In each square, is a different breed of dog. 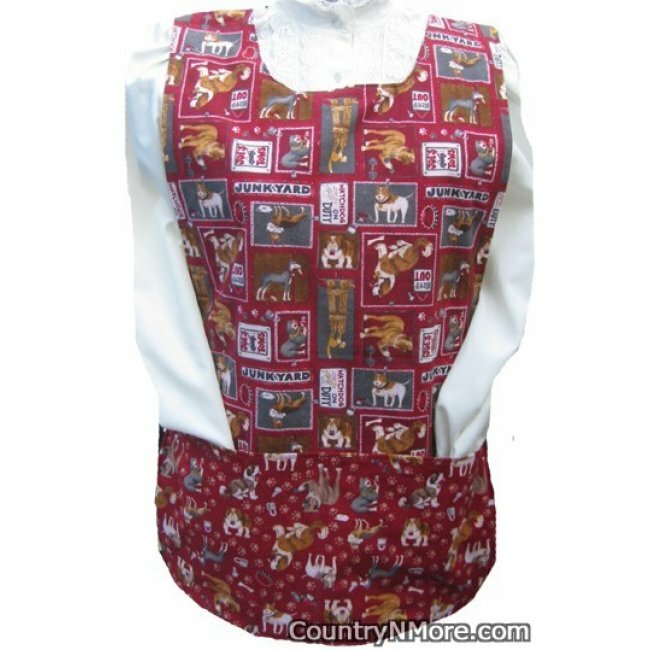 We used a coordinating dog breed fabric for the pocket and straps. On the reverse side of this cobbler, the all over print is the main apron, and the square print was used for the pocket and straps.